The Namakam, also known as Rudrapraśnaḥ, is among the most beautiful of Vedic Mantra-s from the Taittirīya Saṁhita. An ode to the innate presence of the supreme in every aspect of the universe, sentient and non-sentient, chanting the Rudrapraśnaḥ is not only considered challenging, it also enhances attention span and concentration. The process of learning and chanting the Namakam in itself is a meditative process. 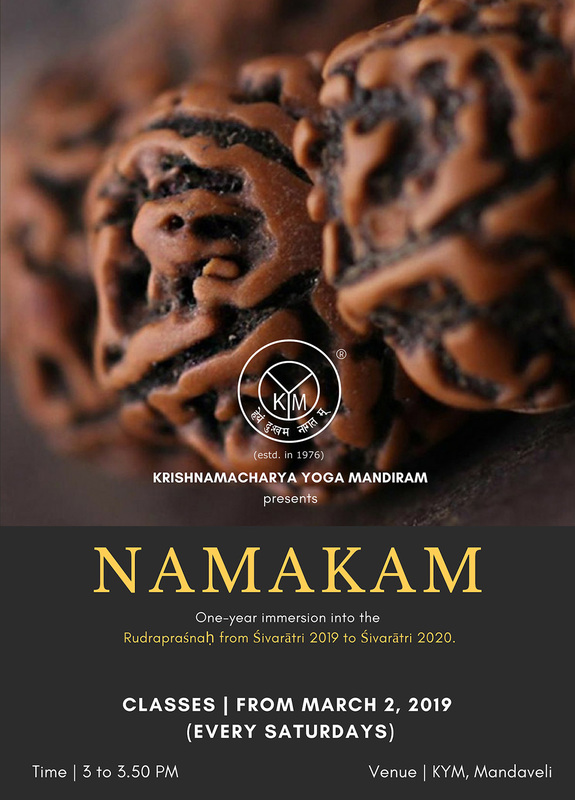 The KYM announces a one-year immersion into the Rudrapraśnaḥ from Śivarātri in 2019 to Śivarātri 2020. One Anuvāka of the chant will be taught every month and once every month, there will be a session explaining the general meaning of each Anuvāka followed by a short meditative practice. Prior experience in chanting, while not mandatory, would be beneficial.